The Wireless Infrastructure Group (WIG) has raised £220 million in funding to support its rollout of neutral-host mobile infrastructure that will help all operators with their 5G launches. WIG’s has equipment in rural areas and in busy urban spaces where it’s easier and more economic to have a third-party infrastructure owner. For example, it recently activated a 4G Distributed Antenna System (DAS) at Anfield Stadium, the home of Liverpool FC. The firm also targets major transport routs and is a major investor in the Midlands Future Mobility test bed for connected and autonomous vehicles. 5G networks will use higher range spectrum to boost speeds and capacity, but these frequencies have lower penetration rates. This means the use of micro-infrastructure such as small cells will be critical to densifying networks. The company says the investment, which comes from Met Life, Barings, Vantage and UK banks Lloyds, RBS and Barclays, is separate to its existing investment roadmap and will facilitate investment in small cells and fibre. “This new capital raise from blue chip institutions has been structured to expand with our growth and enables WIG to operate with a highly competitive cost of capital,” said Scott Coates, WIG CEO. 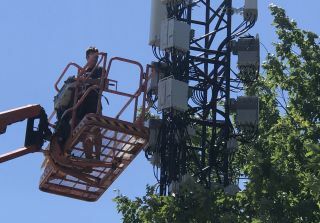 “The new facilities will be targeted on fibre and small cells to enable better connectivity both inside buildings where 80 per cent of calls are made and along busy city streets. The government, which recently made 5G and full fibre connectivity pillars of its Future Telecom Infrastructure Review (FTIR), has welcomed the news. “Wireless Infrastructure Group’s accelerated investment in 5G ready infrastructure will enable greater connectivity and choice for consumers – I look forward to hearing similar good news from the rest of the industry,” added Margot James, minister for digital.